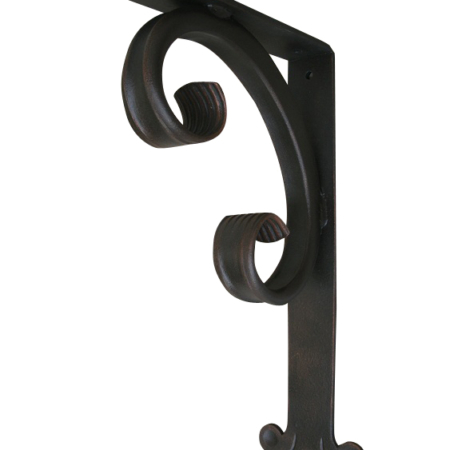 Classic and timeless this wrought iron angle bracket is small, but is a mighty performer in strong bracket support. 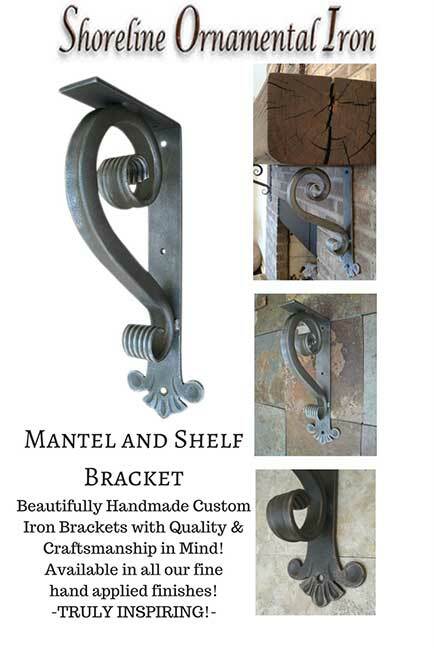 Great choice in mantel, shelving, countertops or just for a great detail or reveal in your project. 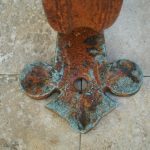 Comes in your choice or our variety of unique finish options which adds grandeur and protections from everyday elements. 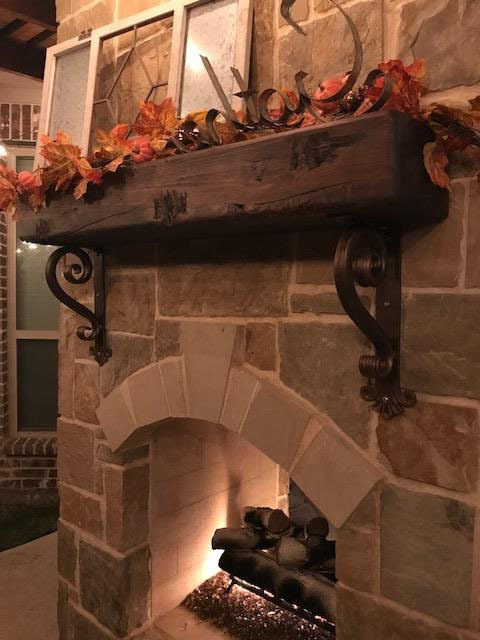 As you can see this decorative heavy duty metal angle corbel is ideal for countertop, shelf, mantel and other heavy surface support. 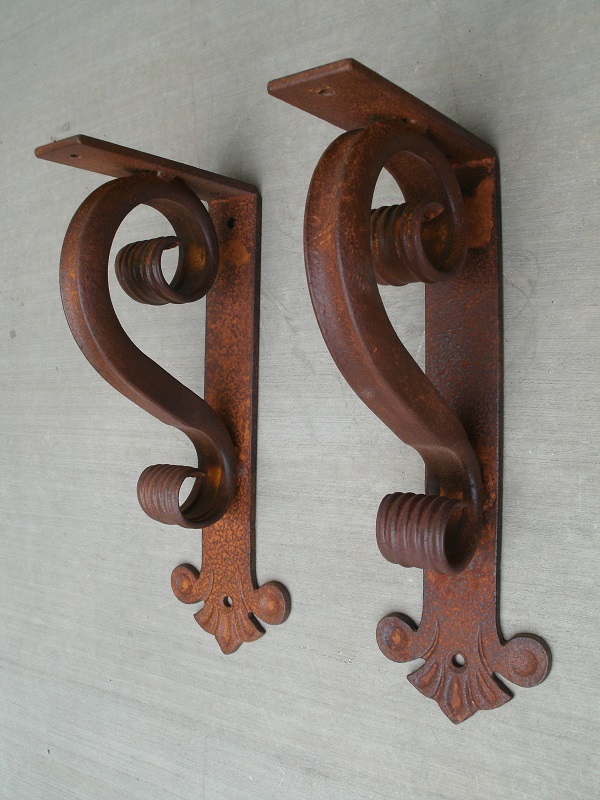 By the way, are you looking for a quality handcrafted iron bracket? 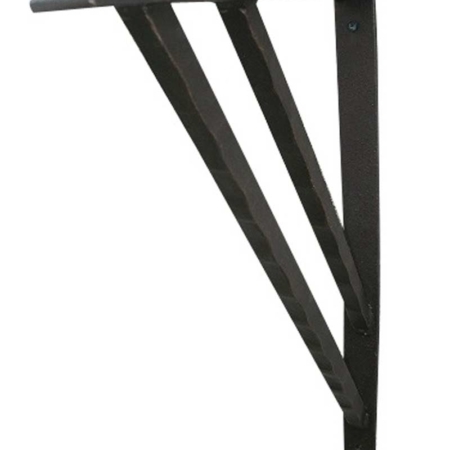 Notably, one that will provide substantial support for your heavy granite or other stone surfaces. 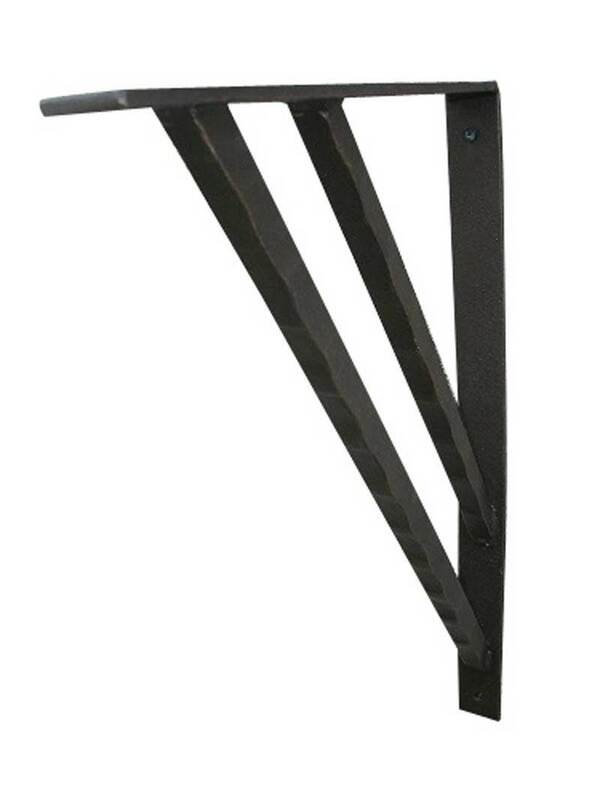 If so, this is the heavy duty support bracket that will do just that. 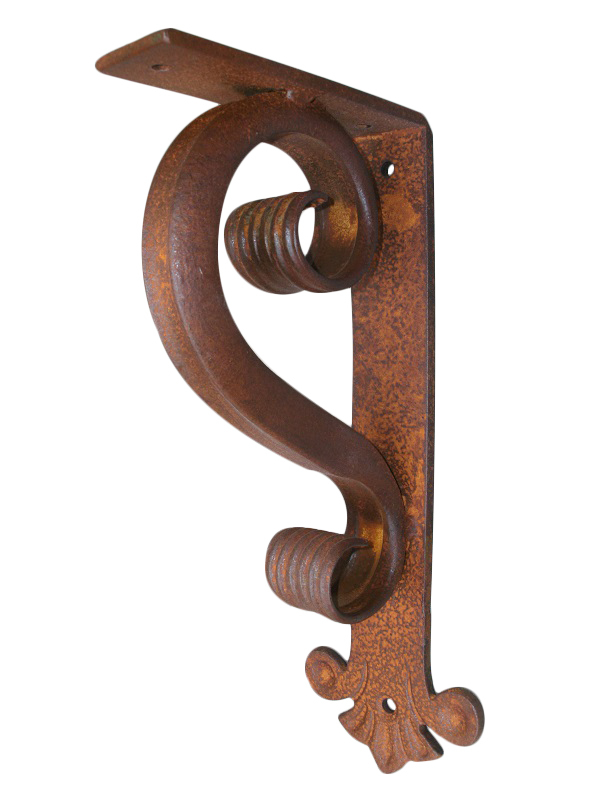 Important to see, as, with all of our wrought iron angle brackets, this metal corbel is handmade in our studio making each one unique and individual. 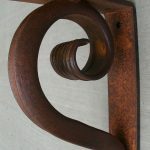 With this in mind, this is what we strive to do. 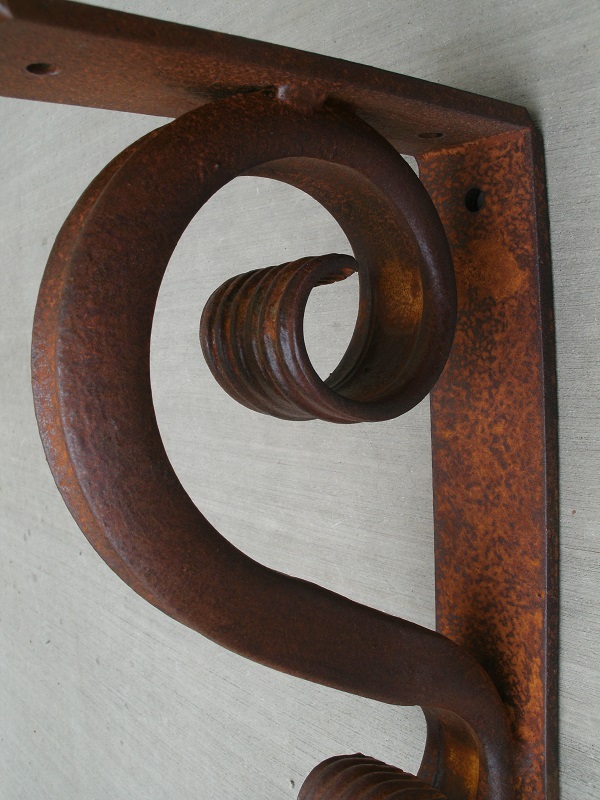 In fact, our goal is to make decorative and unique support for heavy surfaces. 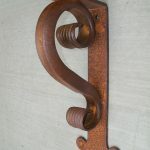 In brief, we make hand forged wrought iron angle brackets for homeowner’s, contractors, decorators and other professionals that really want something of this caliber in a metal corbel. 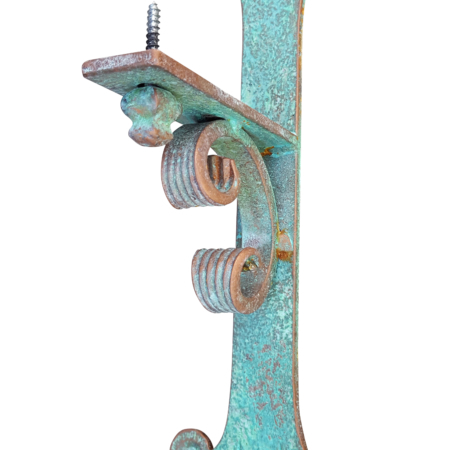 As seen in images, the “L” bar has two (2) 5/16” holes drilled on the vertical, and two (2) 5/16” holes drilled on the horizontal bar that will accommodate either a ¼” or 5/16” lag bolts/screws. 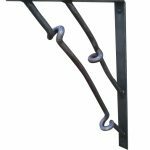 If by chance, the measurement of this bracket does not meet your need, contact us and we will be happy to work with your specific bracket need. 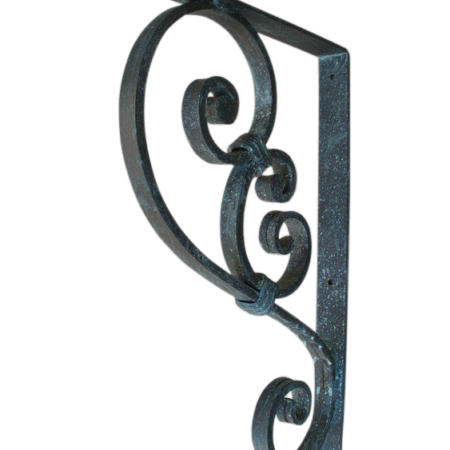 Also, our available finishes,s included in the price, are Bronze, Old Copper, Nickel/Steel and Black Matte. 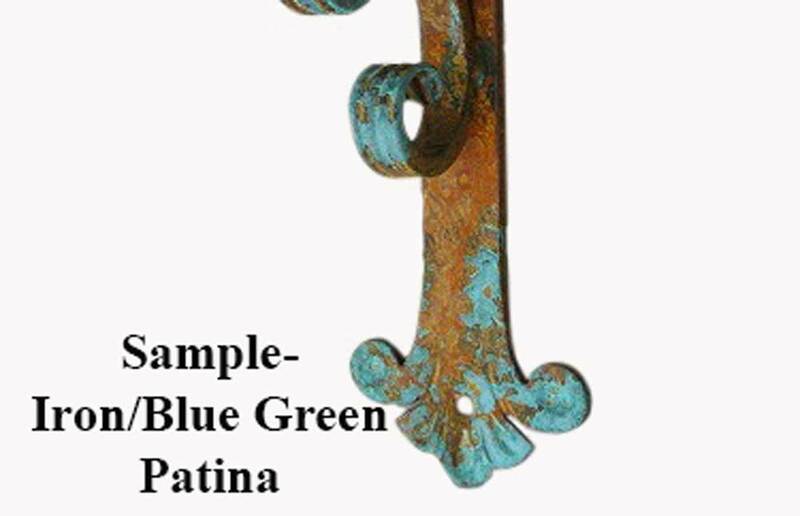 Please Note: Antique Iron Patina and Blue-Green Patina finishes are $20.00 more. 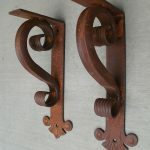 The price will be verified once you choose your desired finish. 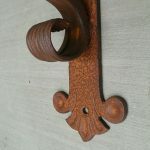 We appreciate our customers, in that, they understand craftsmanship is different from mass production and that each of our products is handmade and hand finished, giving each iron piece its uniqueness. 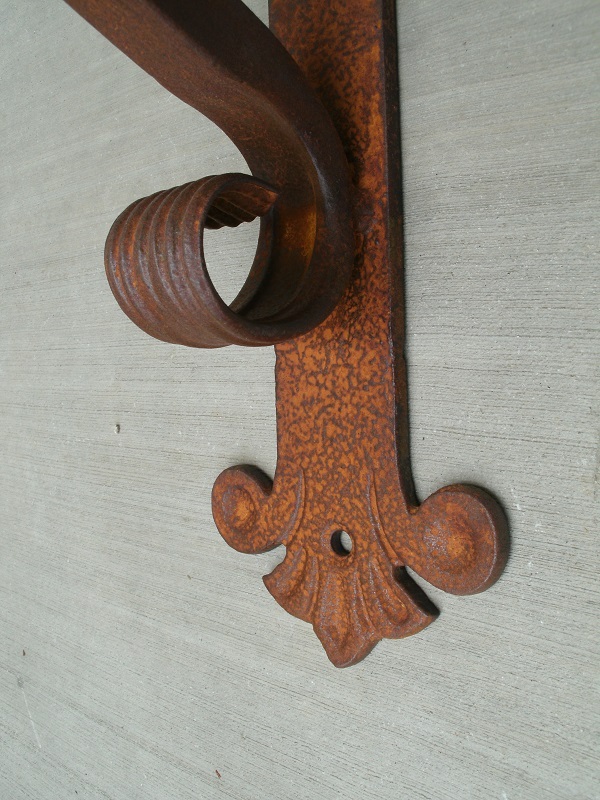 There are no two exactly alike. 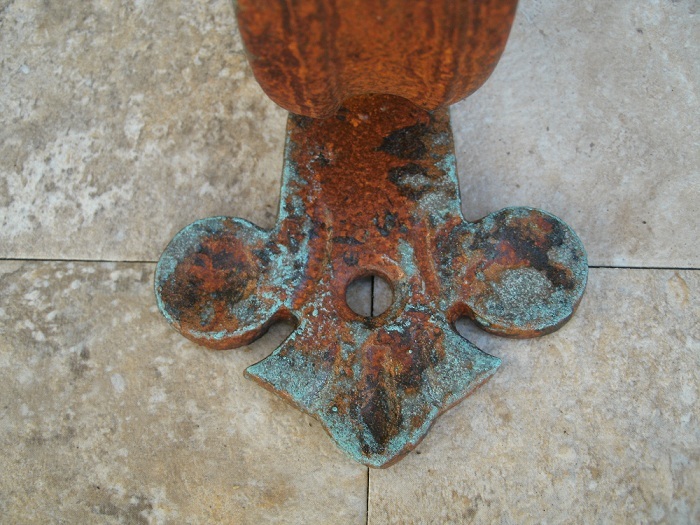 We are glad we can offer great iron products with such character.